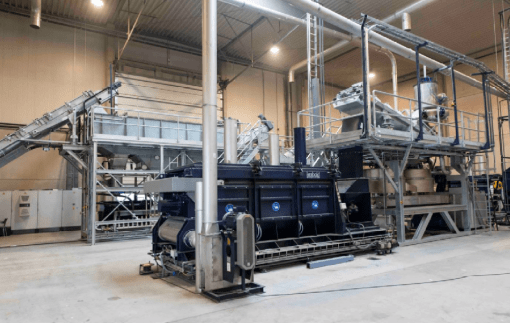 In Munich, the manufacturer of machines and plants from Meckesheim/Germany will present new solutions for washing, separating and drying of plastic waste featuring low operating costs and higher efficiency. In the front of the line is the HERBOLD wet shredder HGM: beginning at the pre-size reduction step water is added, which is new. Until recently, water was only used in the granulation process where further size reduction occurred. Approximately 25 years ago, Herbold made the wet granulation technique marketable and with it set standards in the industry. The advantages of wet granulation are obvious; less wear and tear, no plastification due to the optimum cooling during the size reduction process, and a very effective separation from the first processing step. The Herbold Wet Shredder (fig. 1), inside equipped with exchangeable wear plates, shreds the infeed material by the simultaneous addition of wash water. The coarsest impurities are already washed off during the first process step. Above all, this technique is well suited for highly contaminated material such as agricultural film. It is also suitable for post-consumer film from households (fig. 2) and wet granulation has significantly increased the life between knife changes enabling a more economic operation. 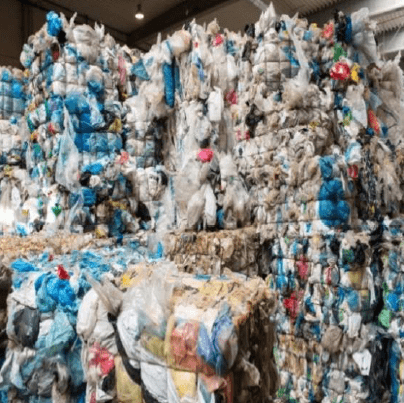 Even problematic material such as wood and paper fractions inside the input material can be handled better through the wet shredding as water allows for liberation from the material early on in the process . Further developments such as pre-washing units, granulators with forced feeding, hot wash steps with ultrafiltration and hydro cyclone separation steps reduce energy costs, fresh water and energy consumption and increase at the same time the quality of the final product. The Herbold Pre-washing unit VWE 600/2 separates e. g. foreign bodies such as stones, metals, glass and sand using three different integrated process steps. The feeding material undergoes an intensive washing step and then, in a third step, makes further foreign material sink. Both process steps reduce the wear and maintenance costs not only for the first step in comparison to a dry process but also for the following process steps in a washing line. The washing line itself is no longer contaminated by extreme impurities, hence the components have a longer operating time and the final product quality improves. 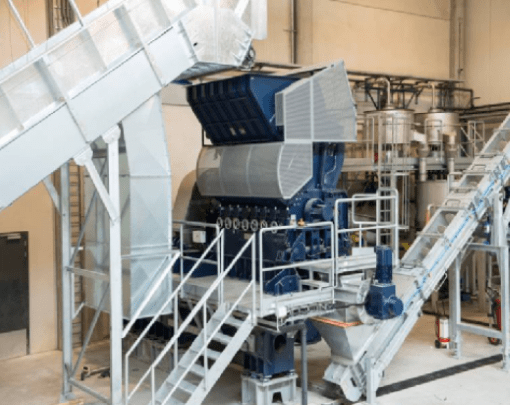 Herbold Meckesheim has recently retrofitted several film washing lines by introducing a hydro cyclone separation step instead of an existing separation tank. In any case, the quality of the washed film flakes has considerably been improved, our customers are satisfied with longer service times of the melt filtration unit and they successfully produce thinner film from re-granulate than they used to. The material from the hydro cyclone separation step is much cleaner, less contamination, fewer foreign bodies, it causes fewer problems during its further treatment and a better price is realized. Why? The separation tank separates with simple (1 g), the hydro cyclone with multiple gravitational acceleration (18 g). Retrofitting and upgrading of existing plants is an important topic – HERBOLD MECKESHEIM assists with expert technicians in order to incorporate the experiences of more than 300 installed wash and separation plants. In the new technical center in Meckesheim near Heidelberg where currently extensive enhancements are carried out HERBOLD MECKESHEIM develops solutions in collaboration with the customer. A first trial with the customer’s original material is free of charge; the tests are processed with machines in industrial scales.